Originally www.fiestaturbo.co.uk the site was “officially” launched on the 20th April 2000. It quickly grew and with the addition of the message centre, became an established community of performance mk3 Fiesta fans. One year on, we present a total overhaul and relaunch of the site and continue to make it the ultimate online Fiesta modification resource. 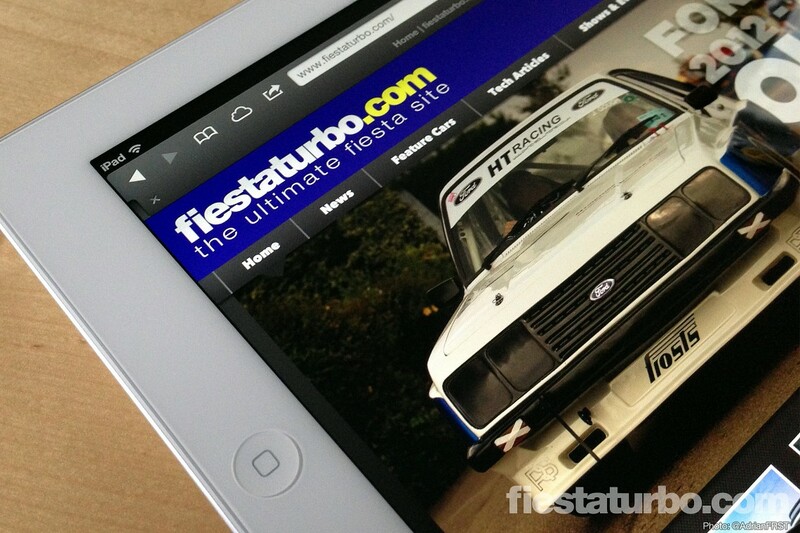 As well as a total rewrite of all the technical and styling articles, there are several features brand new to fiestaturbo.com. The tech database provides a quick and easy way to get information about a certain term or component by entering a keyword into the field at the side of the screen. The links database provides a search funtion to locate websites by category or name, and the WAP version of the site will be online this summer. All articles, news items, features and tech db definitions have printable versions with direct print link, and email to a friend and add to favorites functions. The new forums software adds private message functions, email notification, enhanced bb code and updated profile sections as well as the much requested seach and signature facilities. The site covers all models of Fiesta. Except where stated otherwise, all design, graphics, photography, layout, content, database setup, forum configuration and administration by Adrian T.
Special thanks to Mark Stewart, Ian Howell, Mike Gurney, Sunny, Paul R, James W and Paul B, for technical advice and feedback.